Who better to talk football and Italia, Italia, Italia with than Gabriele Marcotti? 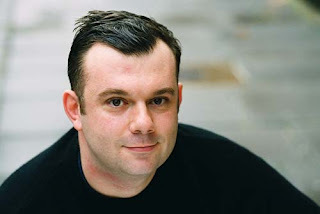 The man with an encyclopedic knowledge who writes about football in The Times, Corriere dello Sport, Sunday Herald, SportsIllustrated and La Stampa and can be heard on the Times Podcast and on BBC Radio 5 Live. He's also written three books - Paolo Di Canio: The Autobiography, Capello: Portrait of a Winner and The Italian Job with Gianluca Vialli. And relax. I decided against dressing up as a woman and saddling up to Marcotti in a covert operation to interview him. The heels proved too much in the end. Instead I opted simply to dial him up. Take that Mail on Sunday. Back at ya Lord T.
So pull up a chair then as Marcotti and I discuss all things Italian, Paolo Di Canio (mad as a box of frogs obviously), Fabio Capello beating up journalists and *adopts serious voice* Why Michele Padovano is a horrible person. You were born within a gnat's crotchet of the San Siro. Was it there that you saw your first ever match and fell in love with football? No, my first match was actually in, of all places, Tokyo. Juventus v Argentinos Juniors for the World Club Cup. Platini scored a great goal which was disallowed, Juve eventually won. Like many, I fell in love with football well before that. My parents are not football fans, but I watched most of the 1982 World Cup (which turned out rather well for Italy, so it wasn't hard to "fall in love") on TV. Actually it was somewhat interesting because we were living in Germany at the time and that made the final even sweeter. You're a Chelsea season ticket holder and follow Inter but Monza are your actual team right? It's a bit complex. I followed Inter as a kid because my grandfather, the only football fan in my family, was an Inter supporter. And I started going to Chelsea when I was in high school, between 1989 and 1991, simply because they were my local club. I sort of always liked Monza because their ground is near where my grandparents live one the outskirts of Milan. Later I sort of adopted them. Why? Because to me being a fan means unconditional, unquestioning love. And, equally, loathing of your rivals. (Yes, it's not very mature, but that's how I see it). But when you work in this industry and you actually meet the people cover you might find that some of the guys you're supposed to support are nasty, unpleasant people. And, conversely, some of the ones you're supposed to loathe are actually great, admirable guys. So now I basically cheer for individuals I like and admire and leave it at that. I don't particularly like Barcelona, for example, but I adore Xavi, Guardiola and Pique. I didn't like Inter's football under Cuper and Tardelli or Chelsea's under Mourinho or Scolari. But I love the way Arsenal play and I like William Gallas, Fabregas and Van Persie, while disliking Ashley Cole. All this confusion tells me I can't really call myself a fan of a big club. Which is why I can support Monza from a distance... I don't really know those guys. I do have season tickets at Chelsea but I also go to the Emirates a lot (a friend has a box). Deep breath now; poor attendances, antiquated stadia, outbursts of violence, stressful policing and the odd corruption scandal. Are you sick of these tired old cliches about Serie A? Well they may be cliches but they're largely true. Attendances aren't what they should be or could be, though there are a lot of reasons for that and lack of passion or attachment isn't one of them, so I'm not that concerned. I don't really care about antiquated stadia, I don't go to watch a football for the amenities. (Though I do care about bad sightlines, etc.). The policing is pretty crappy, but it's improving, slowly. What really annoys me - and this goes hand to hand with the corruption - is the impunity. But that's a reflection of Italy as a country, it's going to take a long time to change that. The ultras in Italy are passionate beyond belief and bring noise and colour into the stadiums. They also carry some excess baggage that is said to be putting families off attending games. ID cards aren't the answer though are they? No, they're not the answer, but they can help and the opposition to ID cards isn't based on something rational like Big Brother civil liberties (as it is in the UK), after all, we all have national ID cards in Italy, I don't see how this is different. Opposition is based around wanting impunity. And that's what bugs me. If you misbehave you should be punished. I don't think the Ultras put off families going to games as much as people suggest. I think it's the bad policing coupled with the misceants who use the Ultras as cover. The Ultras need to do a better job policing themselves and the cops need to do a better job policing period. What do you think is the main differences between Italian and English fans? 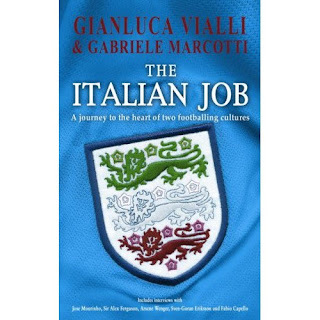 Let me plug my book here, The Italian Job, in which Gianluca Vialli and I go into this at length. Maybe the biggest difference is that English fans have a different sense of loyalty to the club as a whole: the players, the manager, etc. That's why they continue to support the team even if they're playing badly (unless they really really stink). Italian fans really only care about the club colours and the crest, nothing else. They don't feel like they have to support if the team aren't producing. They feel the players and the manager are sort of the keepers of a sacred flame, but that does not make them immune to criticism. I guess it's the difference between believing in God and believing in the Church. English fans tend to back the Church, Italian fans back God, while reserving the right to be critical of everything the church does. The other big difference is that, broadly speaking, English fans reward effort, Italian fans reward performance, even if the effort isn't there. The twinning of Italian football clubs is fairly unique. Is there any real love there or is it a case of 'my enemy's enemy is my friend'? It varies to some degree. But generally the twinning is among the sets of fans, not the clubs, so it's often quite genuine. 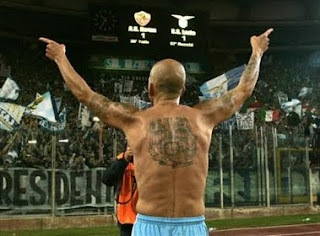 What would he have made of Lazio supposedly rolling over against Inter towards the end of the Scudetto just to annoy their bitter rivals Roma? He would have absolutely hated it. But he would have understood why they did it. Paolo Di Canio - Where to start? "Those who love me follow me, those who hate me chase me" Jose Mourinho of course. Are you a follower or a hater? I can't give anybody the unconditional love he demands. So I guess I'm a hater. I just wish he would grow up and realize that you don't have to be rude and pick fights for people to respect you. And I wish he would not rewrite history at every turn. I'm not sure if you've heard but the World Cup starts soon in South Africa. Does the World Cup still get the Marcotti juices flowing? Absolutely. There is nothing like it. And if you've been fortunate enough to witness your team winning it - as I have been, twice in my lifetime - there is nothing like it. What is your favourite World Cup memory? I'll give you two involving Italy, just because they were so personal. Watching Italy v Brazil in 1982 in my little suburb of Frankfurt and seeing Zoff make that late save, that was special. But also the semi final against Germany at the Westfalen stadium, when Lippi brought on the two strikers even as Germany was battering us. And then seeing Lehmann beaten and try to kick Gilardino. Wonderful. As for non-Italy related memories, obviously Maradona's second goal against England, as well as that brilliant reverse pass with his right foot to set up Caniggia against Brazil in 1990. Rashidi Yekini collapsing into the back of the net and praying after scoring for Nigeria. There are plenty others. Italy stuck two fingers up to the world by winning it in 2006 after their preparations were dominated by domestic match fixing allegations. Did that galvanise both the team and the fans? It galvanized the team, it took the fans a while to get on board. Lippi had annoyed many by having so many closed practices. Plus, Italy fans, especially those at home, are notorious bandwagon jumpers. They're hypercritical and negative and then, if the team does well, they jump on the bandwagon and try to share the glory. Basically, we're pretty crap fans. There is a huge furore about where the 2018 and 2022 World Cup should take place. Does it actually matter to you where they're played? Yes, I do care. I think the World Cup should be held in a country that loves football and is accessible and affordable to as many fans as possible. It should not be a promotional tool for a country, it's not the Olympics. If England don't win the 2010 World Cup, it'll be the media's fault for bigging them up too much right? Yeah, but the media always big up England. It depends how England go out. The fact of the matter is that luck and happenstance play big roles. You don't necessarily need to be lucky, you need not to be unlucky. Tell us something we don't know about Fabio Capello. People don't realize just how good a footballer he was. Most of what I know about him is in my book. He once beat up a journalist who criticized him. How's that? (pretty pretty good - Ed). Which football journalists or presenters do you admire? Hugh McIlvanney is an inspiration for his writing. Martin Samuel is outstanding, though I don't always agree with him. I like a lot of the people who put in a a lot of hard work to get stories and, among those, I'd include Matt Hughes, Neil Ashton, Ian McGarry and Sam Wallace. Jonathan Wilson is possibly the most intelligent guy I know (though he shocked me once by not knowing who Jim Thorpe was). Guillem Balague and Rafi Honigstein are good friends as well as good journalists so I'm probably biased there. As for presenters, it's a particular skill, I think most are pretty polished. Don't really have faves. Are there any that you dislike particularly (nobody reads this so you can tell us Gab)? Yes. And I'm not going to tell you who they are because it annoys me when fellow journos have a go at me too. I think it's fair for fans to criticize us in public, but colleagues should steer clear of that. But there are two I absolutely hate, largely because I think they're mean-spirited and allow themselves to be used as pawns. I mean, nobody is fully objective and if a source gives you a story, you're bound to look on them favourably. But there are limits and these guys regularly cross the line. Who has been the most difficult footballer you've had to interview? The nastiest was Michele Padovano, just a horrible person. But he knows what I think of him. If you're talking difficulty in terms of obtaining the interview then there are many, including the ones I failed to get. And finally, we obviously love our European Football Weekends. If you could recommend one city or one ground in Europe to watch some football in, what would it be? I guess you guys don't consider yourselves part of Europe, right? Wrong, we're all about Europe here at EFW. One big party with everyone invited. Ok, I'd say Fulham for the scenery and Celtic, Leeds or West Brom for the fans. Off the top of my head, I'd say Venezia for the surreality of it all, Schalke for the experience and, on a good day, the Rome derby. His books are available HERE, THERE and EVERYWHERE. Also in this series of interviews Sid Lowe and Barry Glendenning. So, for the journalists that are too in thrall to their sources, does he mean the guy who has followers but doesn't follow anyone? I naturally don't agree with him about visiting that dreadful ground in Gelsenkirchen, but all in all, well done!! Very nice interview indeed. GM seems a well balanced and well informed individual. I am particularly fascinated by his attitude towards the fanculture and club affiliations - very interesting. I'm talking about the holy grail that is AC Jimbo. Get him and I will worship you as a god. I wouldn't want to get Gab into trouble but I'd be surprised if one of those two journalists isn't Rob Beasley of The Sun. Really interesting stuff. Marcotti sometimes frustrates me with the superficiality of his knowledge below the top 10 clubs in the Premier League but one cannot expect omniscience. His comments on the differences between Italian and English fans and the Church-God analogy are quite thought provoking as well as his identifying the English achilles heel - a preference for effort over results: hence our liking for players such as Bryan Robson, Alan Shearer and Steven Gerrard who have limited technique. Lovely stuff. I'm enjoying this series of interviews. Thanks Iain, I doff my EFW sombrero to you.